The only thing I love more than making cute things is inspiring other makers! 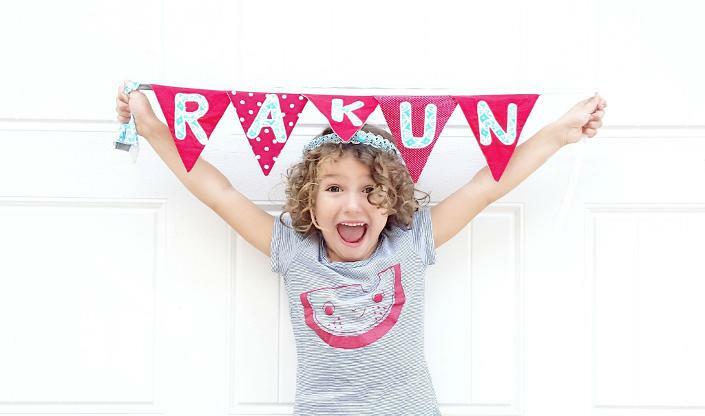 Rakun started in 2011 as a little boutique in Denver that served as a community hub for local makers. When I moved back to Kansas City, I closed my shop, but I kept that collaborative spirit alive. I love coaching indie makers to reach their goals as much as I love making cute things. I also make fun crafty kits for kids and pop up at birthday parties and bridal showers to inspire everyone to do something creative every day. I'm currently taking a small step back from my maker world while I work on simplifying my days and living more mindfully. Part of this process is my challenge to not buy anything new for an entire year. You can read more about my journey on my blog, Easily Enough. Since I can't buy new materials, I am also taking a year off from craft sales and consignment. My Etsy shop is open while I have product, and I will continue to stock upcycled items like beach glass necklaces. I still make cute and tiny things, and I love custom orders! I sew costumes, make jewelry, weave flower crowns, screen print...you name it! Discovering new ways to be creative is the best!